"2 year old male, vomiting"
Blue lights, fast cars, sirens, life threatening emergencies, death, destruction, trauma, helicopters, police cars, fire engines and hi-vis jackets. This is what the ambulance service is often seen to be. On rare occasions it is. The reality however, is much closer to this job! A vomiting child! In almost 7 years, I have never called an ambulance because my child is vomiting. In fact, I have never called an ambulance for him, despite the temperatures, tantrums, chicken pox and uncoordinated dancing. It's never crossed my mind! That said, this might be a real emergency, you never know! What I do know, is that if it this was a life threatening emergency, I would be incredibly surprised! We arrived at the mansion in question, and carefully made our way past the 7 cars on the driveway. Yes, 7! We were greeted at the door and ushered inside where my eyes were drawn to the huge split staircase. Up we went, following the sound of the crying child! Some of the artwork en route was quite amazing! Inside the 'nursery' (bigger than my entire flat!) we were introduced to our patient who was less than impressed with his life on this particular day! 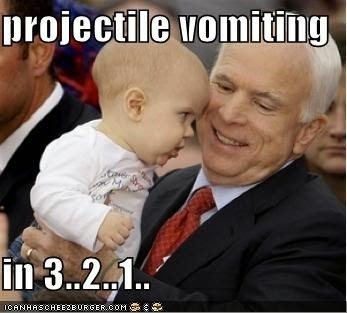 Vomiting has that effect on children! Let's be honest, who likes to vomit! The family was lovely, offering us food and coffee. I respectfully declined until I saw the cakes and quickly changed my mind, as did my student! Whilst eating and listening to the dulcet tones of the crying child, we explained that due to his age, a trip to hospital was required. It turns out that giving me cake seems to prevent my 'inappropriate use of the ambulance service' chat that I occasionally find myself giving out! In fact, with cake like that, they can call an ambulance daily if I'm going to be on the receiving end of it! On board the ambulance my student sat on the bed, opposite mum and baby, whilst doing her paperwork. I sat in the jump seat 'observing'. For those of you with children, you generally know when your child is about to throw up. They have a face. The 'I'm about to chunder' face if you will. When this face appears, we take evasive action wherever possible. On an ambulance your options are limited. 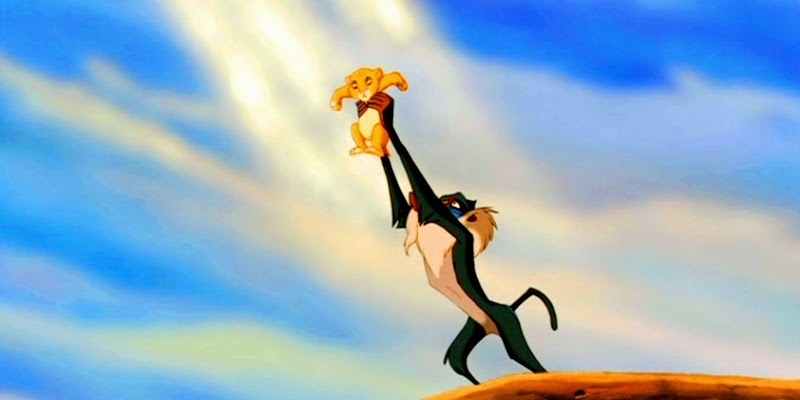 Without warning, in a scene reminiscent of Rafiki holding up Simba over Pride Rock in the Lion King, the mum held up the child. He volcanic explosion erupted from him and whilst at arms length, showered my student. And I mean covered in the stuff! It was wonderful! I for one, found the whole situation hilarious! The mother was mortified, the student was livid! It was an ambulance life 101 lesson for the student. Always look at your patient! With his head buried in his paperwork he was caught off guard! The mother was deeply apologetic but I told her not to worry! As Timon and Pumbaa would say, 'Hakuna Matata'!